Aaron Neuwirth lists his favorite movie moments of 2018, from the oceans to the moon, to virtual reality, and more. With the year coming to a close, there are a lot of fun ways to recap the best 2018 had to offer regarding cinema. It’s great to see so many lists going over the best posters, scores, and more. While I still have a Top Ten list of my favorite films to release soon enough, I set up a challenge to go over my favorite movie scenes of the year. This was tough to narrow down, as even subpar films had some memorable scenes to keep in consideration. And the end of it all, however, I gathered this set of movie scenes that range from dance number and action scenes to big speeches and carefully edited moments. Enjoy. Poisoned Sushi Preparation in Isle of Dogs. Brady Visits Lane Scott in The Rider. Michael Returns to Stalk the Streets of Haddonfield in Halloween. Jack brings Ally Up to Sing ‘Shallow’ in A Star Is Born. Elastigirl’s Motorcycle Chase in Incredibles 2. A Sunset Dance in Burning. Buster Scruggs Meets His Fate in The Ballad of Buster Scruggs. Behind the Scenes in Bad Times at the El Royale. The Possessed Dance in Suspiria. 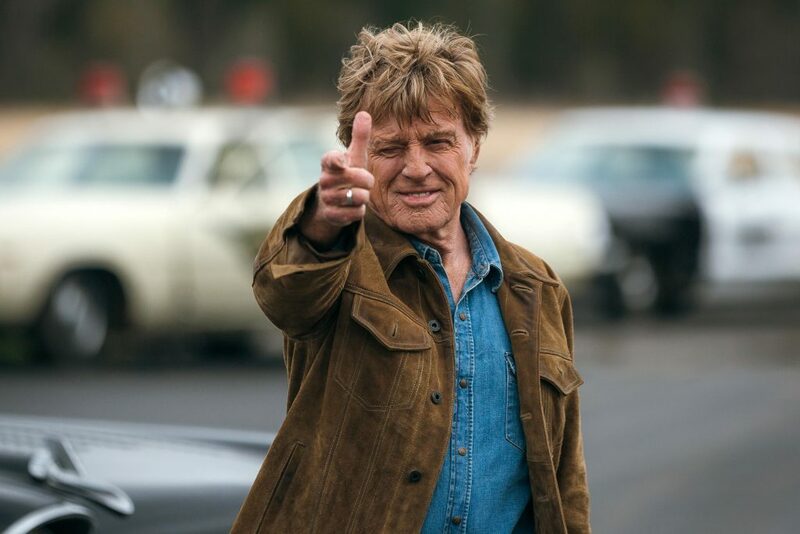 Robert Redford is a delight in (maybe) his final film role as real-life career criminal Forrest Tucker. David Lowery’s low-key crime comedy lets us know early on that Forrest has escaped prison numerous times, but it’s not until late in the film that we see a clever montage depicting the many times the man broke out of jail, as well as how. The scene is a mix of humor and clever references to many other classic prison escape films, with Daniel Hart’s wonderful score adding just the right touch to keep it all so exciting, yet pleasant. 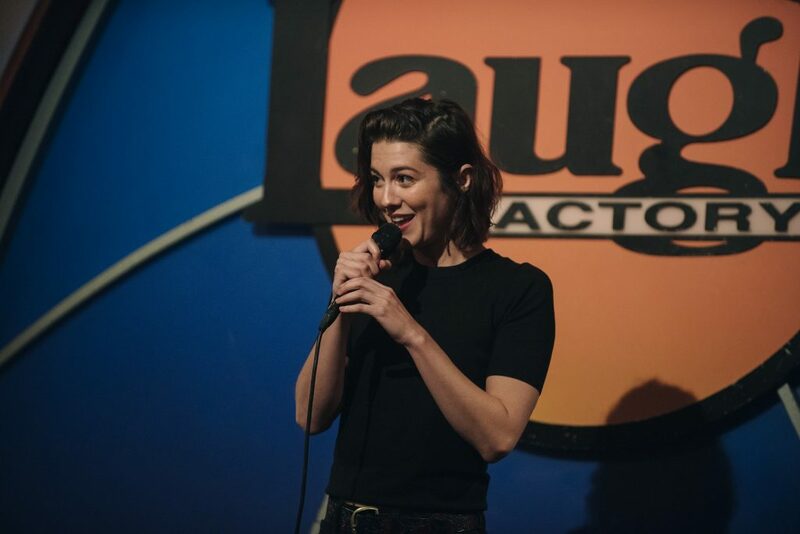 Comedies about stand-up comedians can be tricky, but All About Nina is a solid film anchored by a strong performance from Mary Elizabeth Winstead, who portrays an acerbic comedian looking for a better path. 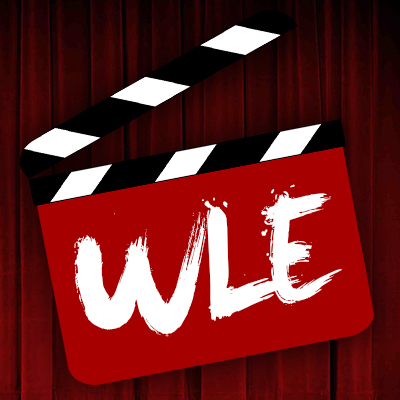 In an attempt to land a role on a major comedy show, the film’s finale features a stand-up act that goes in a different direction than the audience is expecting. That said, it’s a chance for the character to dig deep into what’s going on, adding real power and weight to the character and the scenarios that have occurred around her, particularly when it has come to her relationship with Common’s Rafe. In a film with many standout moments thanks to the visual intensity of it all, I had one I couldn’t shake. Amidst all the chaos taking place, there’s an utterly bizarre yet poignant scene where Joe is getting back at one of the men trying to kill him. As the assassin lays on the floor dying, Charlene’s “I’ve Never Been to Me” begins playing on the television, and Joe lies on the ground, holding the man’s hand, as they both sing the song together. It’s strange, yet it all fits together. Already packed with so much awkward humor and tension, it’s a great relief when Eighth Grade finally allows for some extended moments of good-natured fun to come to Elsie Fisher’s Kayla. Following an initial meeting at a pool party, there’s a fun date at Gabe’s house, where the two bond over fast food and Rick and Morty. There’s a lot to like given the winning performances, and Bo Burnham’s pitch-perfect script that captures the true feeling of what it is to be a middle schooler trying not to bottom out on self-esteem. Pawel Pawlikowski’s remarkable romantic drama constantly finds Joanna Kulig’s Zula and Tomasz Kot’s Wiktor together and apart. During one period where the couple is together at a party, Zula is bored and irritated by the lack of attention being paid to her by her beau. Already having had a bit too much to drink, she proceeds to dance away from Wiktor, roaming around the bar and the dance floor, without much care for anyone around her. In a film already stylishly shot in black and white by Lukasz Zal, here’s a scene reminding the audience of the characters’ authenticity in even the most elaborate of moments. Steven Spielberg got to have plenty of fun throwing audiences into a virtual world, but things never got better than when he went for a clever recreation of the Overlook Hotel from Stanley Kubrick’s The Shining. Thanks to some very clever visual effects work, we watch Parzival, Art3mis, Aech, and the others explore the creepy location, with plenty of great touches that clue into many notable moments from the horror classic. Matched with a sense of humor, and an eye for how to deliver a sense of dread along with it, this is a terrifically filmed sequence that best emphasizes how far this concept could be stretched as far as nostalgic fun. One of the many strengths of Barry Jenkins’ terrific follow-up to Moonlight is the way he overlays the warm cinematography on top of many crises. Perhaps the best way this is applied is in a sequence where Brian Tyree Henry shows up as Daniel, an old friend of Stephan James’ Fonny. What starts as a friendly catch up on lost time turns into a somber description of the harsh time Daniel had in prison, only adding to the drama of the situation we already know Fonny to be in during the present timeline. It’s a terrific sequence in a film working so well on many other levels. Stan Lee’s recent passing only adds to the impact of this cameo, which easily ranks as one of his best, and certainly his most important. In the midst of the radical display of animated ambition and plenty of creativity involving how to play with several decades’ worth of comics and movies, we have a poignant moment involving one of the men largely responsible for all of this existing. The fact that he’s there to serve as the one handing off such a proven superhero concept to Miles Morales (and essentially the audience and filmmakers) is a wonderful way to emphasize, once again, how possible it is for anyone to be a hero to some degree, particularly when given (or have received) great power. And the scene is also quite funny. 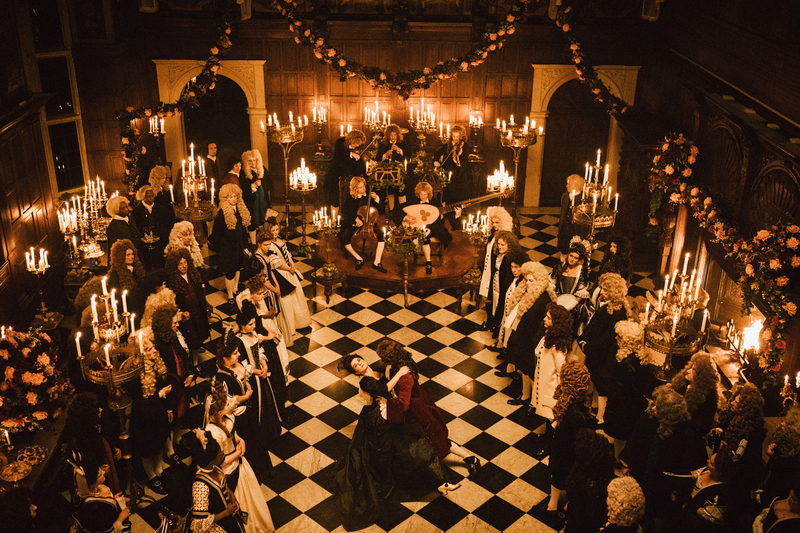 In a film full of scenes stretching the limits of how far off-kilter to go with the standards set for costume dramas, the peculiar dance between Rachel Weisz’s Lady Sarah and Joe Alwyn’s Samuel is a standout. Relying on humor and tension to make the scene all the more effective, what begins as a standard recital, turns into an eccentric and anachronistic performance. It’s one of many moments that highlight how separated from reality this film truly seems to be, and a perfect opportunity to witness a visual level of wit when it comes to seeing how one character can show a display of power in the wildest of ways. 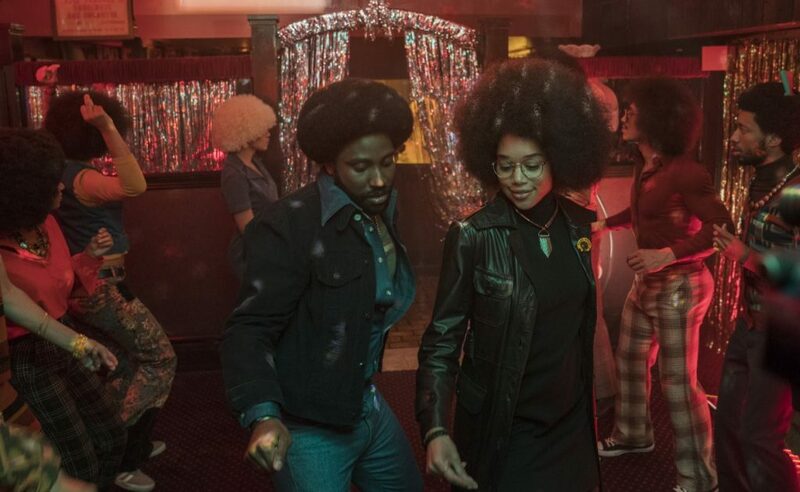 Keeping dance numbers in mind, BlacKkKlansman, for all that is taking place in the plot and thematically, has one of the warmest, likable, and most pure sequences of the year. 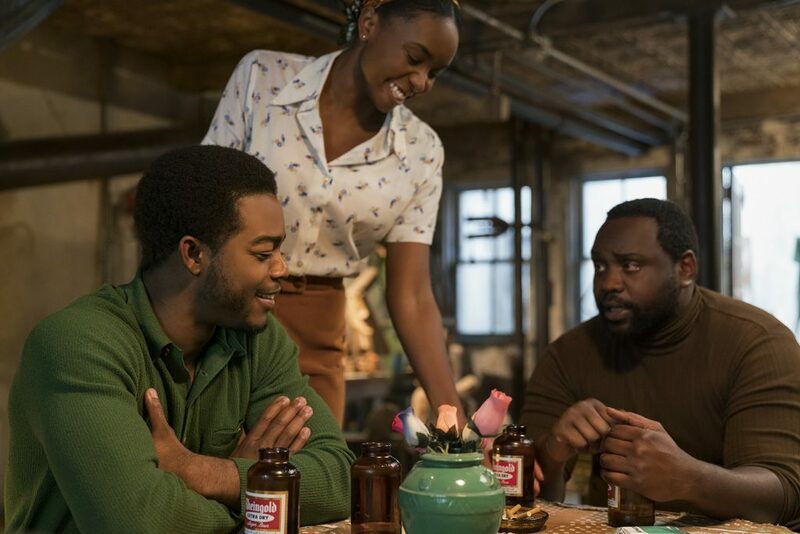 Following an encounter with a corrupt and racist police officer, Laura Harrier’s Patrice finally meets up with John David Washington’s Ron Stallworth at a dance club. From there, the tone moves from a sadly familiar sense of drama to a series of shots portraying the crowd at this club dancing to The Cornelius Brothers & Sister Rose’s “Too Late to Turn Back Now.” It’s a small scene, and perhaps lacks some of the power found at the incredibly well-edited Kwame Ture rally, but is a pivotal display of black people just having a good time. 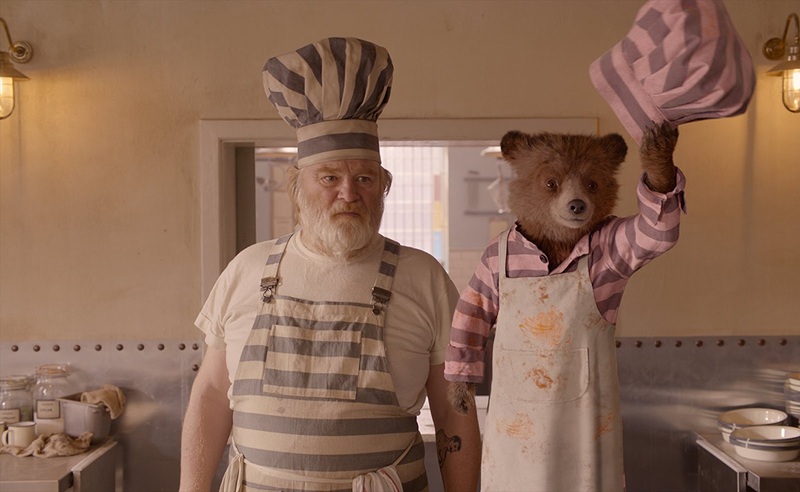 I could put together a whole list of wonderful moments from Paddington 2, and yet all I want to do is highlight the quick sight gag involving Brendan Gleeson’s character. 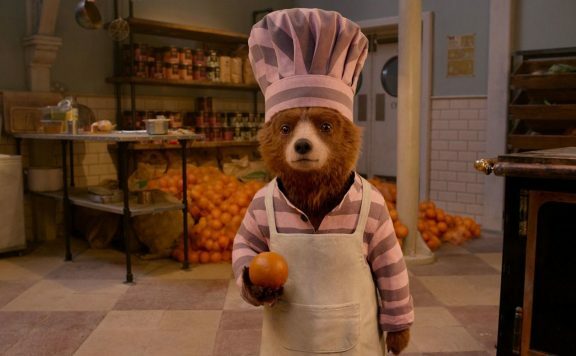 As the prison cook with a temper, Knuckles is not someone to mess with, yet Paddington gets inside his head. Before the two truly bond, however, we get the hilarious shot of Knuckles revealing his name tattooed on his fingers, spelled N-U-C-K-E-L-‘-S. This moment has stuck with me, as it’s a great moment of joy in a film that constantly delivers so much of it. “You know, I’m 1500 years old. I’ve killed twice as many enemies as that. And every one of them would have rather killed me than not succeeded. I’m only alive because fate wants me alive. Thanos is just the latest of a long line of bastards, and he’ll be the latest to feel my vengeance – fate wills it so.” – Chris Hemsworth finds himself a wonderful scene to further push him up the charts as the current “Best Chris.” A scene of reflection, while in conversation with Rocket Raccoon, of all characters, is the perfect opportunity to display real emotion, in addition to the natural humor and charisma he already brings to these movies. For all the fan-pleasing team-ups and battle moments, I can’t help but praise a quieter moment that helps set the stage for what’s to come in this film, let alone the follow-up in 2019. 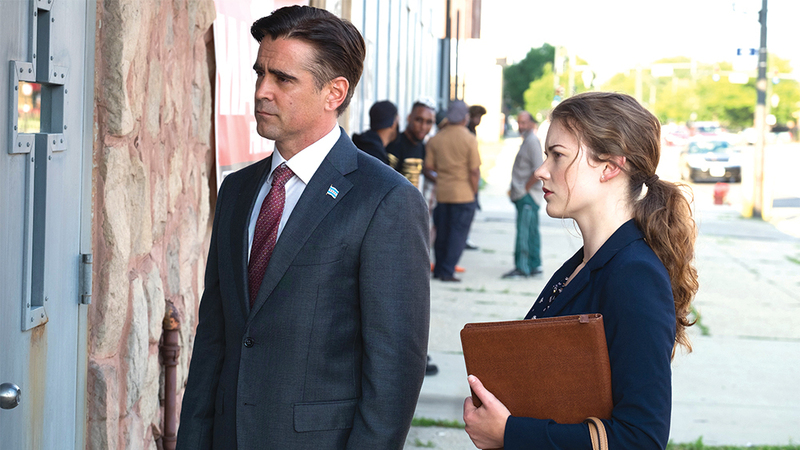 Following a botched attempt to connect with his constituents, Colin Farrell’s Jack Mulligan hops into his limo and goes on a (racist-leaning) rant about his predicament. The camera stays on the hood of the limo during this entire speech. As the limo travels only so many blocks, we see one side of Chicago, with the downtrodden homes and buildings, only to have the camera pan to the right, where we suddenly see much wealthier houses. For a film with a heist construct serving as its driving force, it’s moments like these that director Steve McQueen so effectively places in the film to convey so much about the time, setting, and social relevance that can be found in the Chicago location. Easily the most shocking moment in the film. 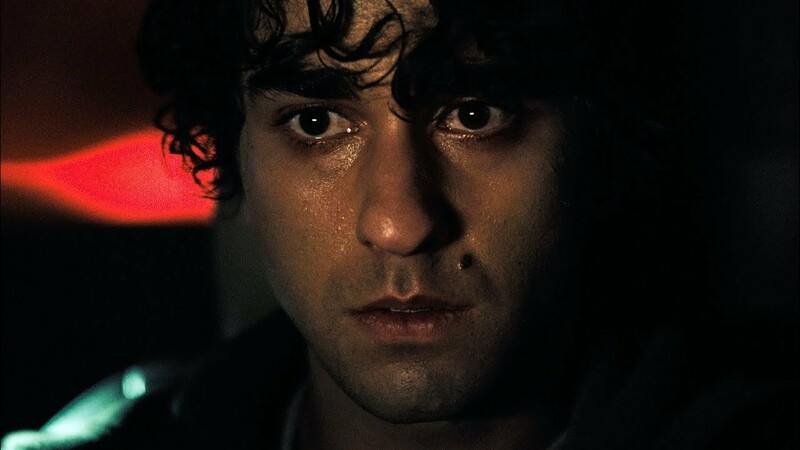 Thanks to understanding certain things about some of the characters and the careful staging by director Ari Aster, the desperate need to get a character somewhere has horrific results. And that’s not even the end of things. There’s a follow-up shot that shows just how grisly things were that will no doubt leave an impact on those already sucked into the world of this horror feature. Best of all, a scene like this made it clear that no one is safe in this film. 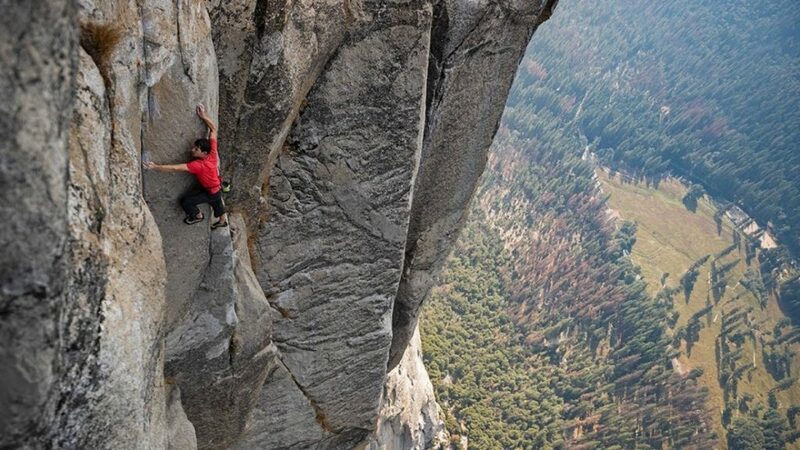 Free Solo is a terrific documentary that is sure to bring out a lot of anxiety for those not ready to handle the thrills of one small man going up against the vertical might of El Capitan. And yet, Alex Honnold climbed this massive granite rock with no ropes or harnesses. Most impressive was a moment detailed in the film, where Alex had to pass a near-impossible point to climb on a mountain (even with rope). Utilizing some serious skill, getting through “The Boulder Problem,” was as tense as it was exciting. And yet, when all was said and done, Alex’s simple smile to the camera after crossing that pivotal point was the perfect expression to sum it all up. Not given nearly enough credit for the strong performances and handling of a character as unique as paralyzed cartoonist John Callahan, Gus Van Sant’s well-made biopic certainly works great when it comes to individual moments. 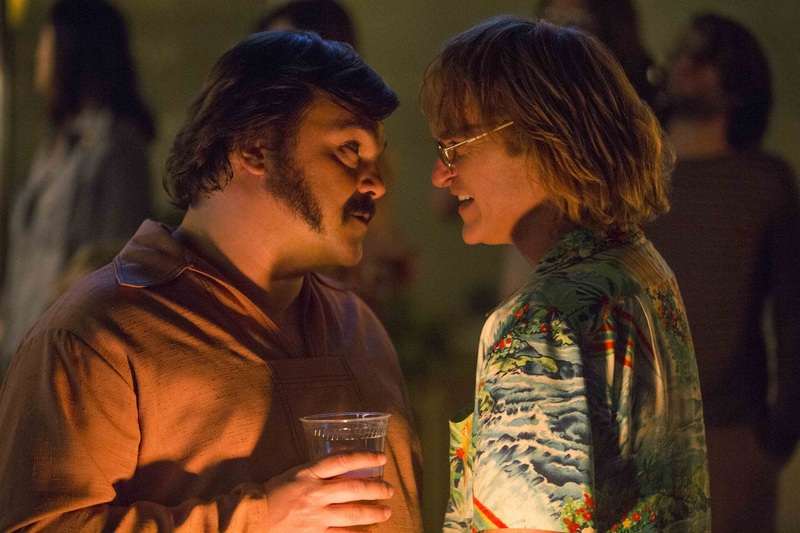 The best of which involves Jack Black, giving one of his career-best performances in a small supporting role as the man largely responsible for Joaquin Phoenix’s Callahan becoming paralyzed. Taking place later in the film, Black’s Dexter is encountered by Callahan, who is currently working the 12 steps program for his alcoholism. Racked with guilt, Dexter doesn’t know how to react, but this scene is a perfect display of acting, given how well these two play off of one another. One of the more difficult things about Fallout is trying to decide which of its incredible action sequences to put a focus on. The HALO jump is amazing to watch in its careful construction. A thrilling helicopter chase shot in IMAX leaves an impression. Having a motorcycle/car chase through Paris seems logistically insane. Still, it’s the bathroom brawl that involves skilled work from Tom Cruise, Henry Cavill, and Liang Yang, along with the stunt team, who make this sequence both fun and painful. Between some key facial expressions and the now legendary Superman double arm reload from, there’s a great energy that comes from this brutal fight, with a deadly surprise at the end as well. Boots Riley’s sharp comedic satire feels like a director being unleashed for the first time and getting all he can into his picture before someone realizes what’s going on. It’s a fresh and exciting film, with a lot of memorable moments. One of the more notable bits occurs during a party thrown by the film’s capitalist villain, Steve Lift (Armie Hammer). 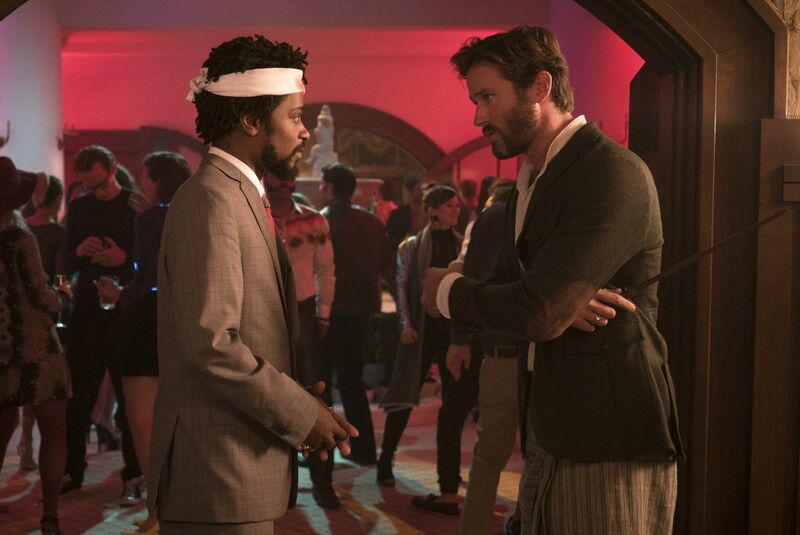 Lakeith Stanfield’s Cassius Green is trying to impress the crowd, but when prompted to improvise a rap, all he can do is submit to something he knows will make the (largely white) crowd cheer. The result is an all too familiar scenario when it comes hearing folks sing-a-long to rap music. It took ten years to get a sequel to The Strangers, which is odd for a horror film, let alone one that was more successful than the average slasher, but here we are. While the film doesn’t leave quite the impact the original did, it has one standout sequence that rivals some of the best kill-or-be-killed sequences in a lot of movies like it in recent years. The sequence involves careful staging, a unique location, and a pop song blaring in the background. Director Johannes Roberts has already established how much he wants to evoke Carpenter and 80s horror in general, but this sequence is easily the creative peak of his powers. The mix of violence and color, let alone suspense has this sequence as a true standout for the year, let alone the slasher genre. There’s a reason why Michael B. Jordan’s Killmonger has received wide praise and earned strong support for being the best villain in the Marvel Cinematic Universe (an area this franchise has had trouble in). The motivations and justifications for his decisions to take over as king of Wakanda keep real-world ideas in mind, which is skillfully put on display during his visit to the spirit world. Instead of Wakandan fields, as seen with T’Challa, Killmonger is back in his old Oakland home (with that luminous purple sky outside the windows), visiting with his father, played to perfection in only a few minutes by Sterling K. Brown. Both men show real vulnerability when discussing what direction to go in, now that Killmonger has returned to his true home country. A rejection takes place that makes the scene all the more affecting. Proper use of cinematic juxtaposition can be a powerful tool if handled properly. Late in the film, Spike Lee expertly plays some horrific imagery against a horrific story, all while Terence Blanchard’s terrific score keeps the mood at a certain level. Following the Ku Klux Klan induction ceremony, Adam Driver’s fake Ron Stallworth sits with the Klan as they watch Birth of a Nation. The various Klan members are all hootin’ and hollerin’ with joy at the film that re-ignited the presence of the KKK. 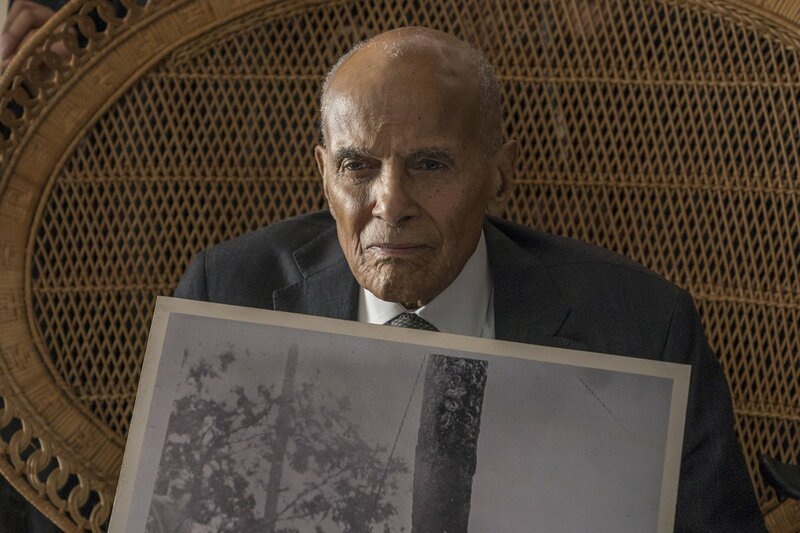 At the same time, Harry Belafonte’s Jerome Turner is the guest of honor at a civil rights rally, who relays the story of a horrible lynching. Watching these two scenes cut back and forth into one another allows for a level of visual storytelling that hits as hard as it needs to, before pushing towards a crowd-pleasing fictional ending to the main plot that has been unfolding. 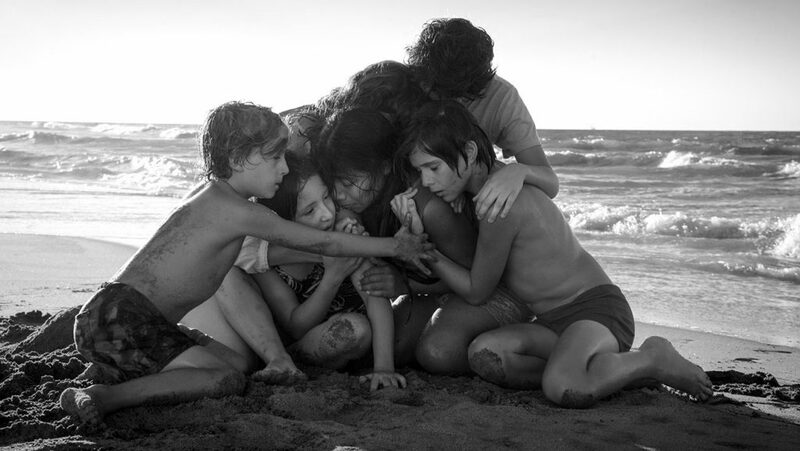 Alfonso Cuaron may have delivered a more grounded film with his intensely personal project, Roma, but that didn’t stop him from presenting this story in as grand a scope as possible. Among the many elaborately choreographed and shot sequences, the most stunning moment occurs near the end of the film. In one long tracking shot (one of many), we watch Yalitza Aparicio’s Cleo brave the ocean current to keep the children from being carried off. It’s the skill involved in all aspects of filmmaking that make this sequence truly standout. As we see the camera at water level take in the fantastic sound design of the waves crashing around us, and are eventually floored by seeing the family embrace, with just the right lighting to capture the sun behind them, as Cleo emotionally admits what’s going on in her mind, everything has come together for a great scene. It’s a tricky line to try not to cross when it comes to adding spoken word poetry to a film. Blindspotting does exist in a heightened reality, and the film’s third act rap monologue doesn’t come out of nowhere, but the push into this pivotal moment is a big swing that fortunately put the film over the top as far as its high quality goes. 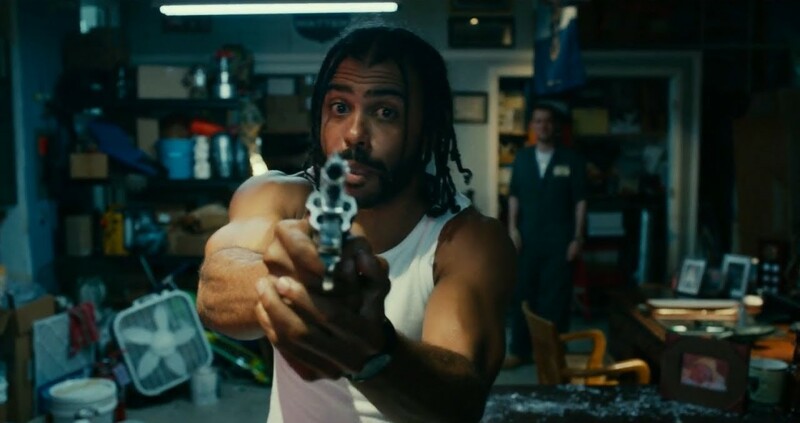 Wherever things go for Daveed Diggs and Rafael Casal from here, it’s great knowing they could so successfully develop a script commenting on issues of gentrification, racism, and police violence in Oakland, with a fitting finale that brings it all together during a confrontation with Ethan Embry’s police officer caught off guard by Diggs’ Collin. The biggest and most important moment of First Man delivered in the best way possible, making for my favorite movie scene of 2018. Following many thrilling moments involving rocket tests, and a narrative that put Neil Armstrong, his family, and fellow astronauts on a Malick-like journey towards this inevitable third act, we get to see the Apollo 11 mission. 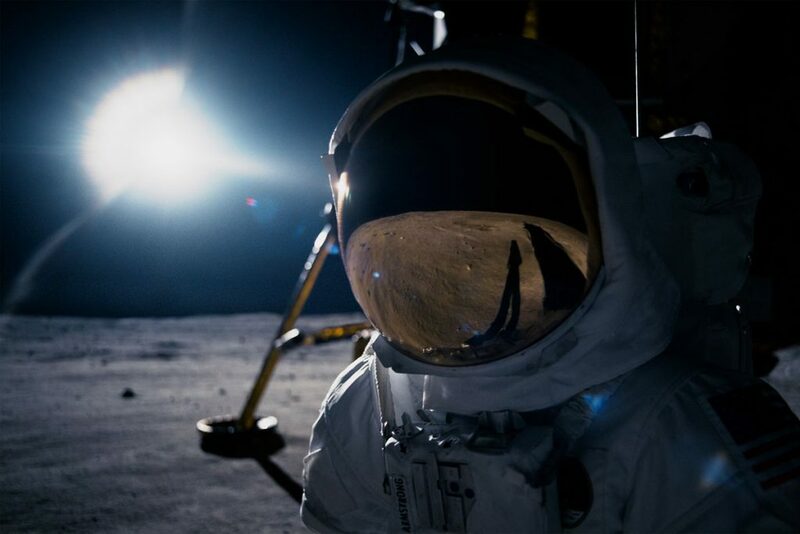 Upon landing on the moon, opening up the module doors leads to a full format switch to IMAX-shot footage for a spectacular depiction of the lunar surface. Ryan Gosling does all he needs to in these moments (complete with a flag on his space suit and nearby on the soil), which includes an eventual emotional gesture that clues us into where this very stoic man’s head is at during this historic event. A terrific film that will hopefully be given the credit it deserves sooner rather than later, First Man has found itself getting plenty of credit from where I sit.